They were a powerful, warring nation that exerted an iron-like grip over their expansive and powerful empire. They were known for cruel and unusual torture and mass slaughter of their enemies. And yet strangely enough, they were uniquely renowned for an incident of national repentance of their actions. The Assyrians trace their origins back to one of their founding cities, Assur. The ruins of Assur are located near the Tigris River, in the northern part of what is modern-day Iraq. The start of this ancient city-site has been set at roughly 2500 b.c. The Bible chronology shows the Flood occurred around this time—and one of the “founding fathers” following the Flood was Asshur, son of Shem (Genesis 10:22). Asshur evidently worked in conjunction with Nimrod in establishing this city named after himself (verse 11). Thus the legacy of Assur began, alongside other ancient and verified contemporary cities like Elam (Asshur’s brother of the same name) and Kish (note Asshur’s cousin Cush). Genesis 10:11 also records the establishment of the cities Nineveh and Calah. Nineveh became Assyria’s greatest city. The city Calah, also called Kahlu, is better-known by its more common name, Nimrud. The Assyrians are not mentioned in detail in the biblical record until nearly 2,000 years after the establishment of Assur (mid-eighth century b.c.). 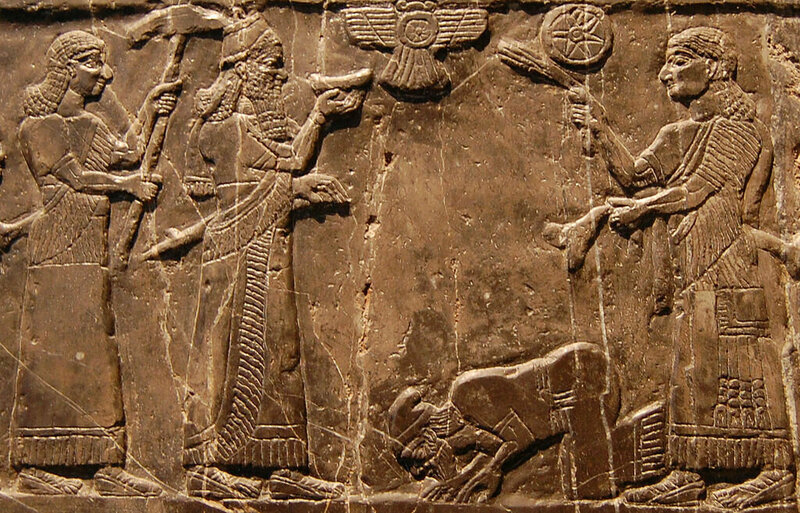 This article will focus largely on the later period of Assyrian history and its parallels with the Bible, so we’ll only briefly cover the intervening time. The Assyrians created the world’s first great army and the world’s first great empire. This was held together by two factors: their superior abilities in siege warfare and their reliance on sheer, unadulterated terror. The Assyrian Kings Lists give us a long chronological overview of the rulers of Assyria. Three of these lists have been found in three of Assyria’s chief cities: Assur, Nineveh and Dur-Sarukkin. The lists are largely consistent and point to one original document from which they were sourced. The earliest Assyrian rulers were recorded as “kings who lived in tents,” and start with King Tudiya (c. 2350 b.c.). The second listed ruler, Adamu, is of particular note—his name reveals the remarkably early use of the name Adam. Early on, Assyria rose as a strong kingdom and empire. The patriarch Abraham fought against and conquered an alliance of four belligerent “kings” during the 19th century b.c. (Genesis 14:1). The historian Josephus reveals that these four rulers were actually part of the wider early Assyrian Empire (Antiquities, i, ix, 1). Yet their early dominance was smashed at the hands of Abraham and his men. Throughout most of the second millennium b.c., Assyria was a dependency of Babylonia (first known as Babel, this was the chief city of the ancient leader Nimrod: Genesis 10:10 and chapter 11), and then subsequently the Mitanni Kingdom. In the 14th century b.c., Assyria became an independent power, exerting a strong influence over swathes of Mesopotamia, Armenia and Syria. However, it was from the ninth century b.c. onward that the Assyrian Empire expanded to truly great heights of power and influence. Thus it is at this time that the Assyrians begin to emerge from the pages of the biblical text as a real threat to Israel’s existence. Strangely enough, this time period of the Assyrian Empire is first brought up in the Bible in the context of repentance. This is related through the record of Jonah. The Prophet Jonah was on the scene during the reign of Jeroboam ii (2 Kings 14:25). As the well-known story goes, Jonah was commanded by God, “Arise, and go to Nineveh, that great city, and cry against it; for their wickedness is come up before me” (Jonah 1:2). This message would have been delivered probably around the first part of the eighth century b.c. We must go further back to understand what kind of “wickedness” was going on in Assyria. Cruelty is perhaps the word most synonymous with Assyria, particularly during this period. Ancient inscriptions, annals and carvings bring this vividly across. Ashurnasirpal ii (reigned 883–859 b.c.) was known for hanging his enemies on posts, flaying them, and lining city walls with their skins. He also burned or beheaded his enemies—if they were fortunate—because those still alive would have noses, ears, eyes, arms or other extremities removed. His son Shalmaneser iii (reigned 858-824 b.c.) continued in his footsteps. The famous Balawat Gates from his reign depict Assyrian soldiers hacking apart the captured enemy, dismembering hands and feet. Heads were hung from walls, and impaled captives were lined up on display. Pillars of human heads were stacked like totem poles. 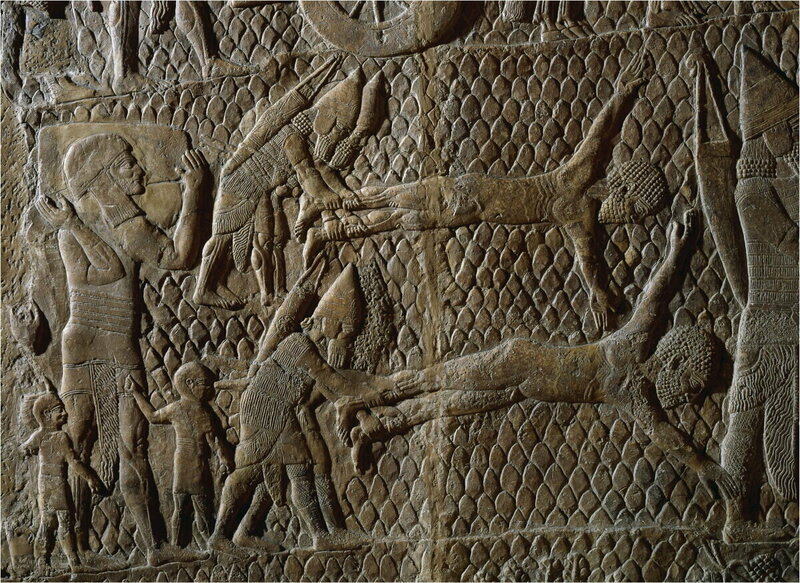 Many other Assyrian reliefs and records also illustrate Assyria’s barbarism. On one clay prism, Assyrian King Esarhaddon records how he paraded conquered nobles through the streets “wearing” the heads of fellow nobles on their shoulders. Another records a defeated Arabian leader being taken to Nineveh and made to live in a kennel alongside the dogs guarding the city gates. On the Taylor Prism, King Sennacherib brags about creating so much blood from death and disembowelment that his horses waded through it like a river. The prophet Nahum condemns the Assyrian bloodlust and cruelty (Nahum 3:1, 19). This was the kind of terror faced by dissenters of the Assyrian Empire up to the time of Jonah. Thus it is no wonder that Jonah was fearful of carrying God’s warning to the Assyrians at Nineveh—and no wonder why God threatened divine destruction of the city. Note: Dating to Shalmaneser iii’s reign of terror, a Black Obelisk was discovered, displaying images of tribute being brought before the Assyrian king. One notable section of the Obelisk displays an image of an Israelite king and contingent bowing and bringing tribute. The associated inscription reads: “The tribute of Jehu, son of Omri: I received from him silver, gold, a golden bowl, a golden vase with pointed bottom, golden tumblers, golden buckets, tin, a staff for a king [and] spears.” This extremely important biblical artifact proves the existence of Israelite kings Jehu and Omri, and helps shed light on Jehu’s situation as described in 2 Kings 10:31-36. Jehu was under continual attack by Hazael, king of Syria. He must have attempted to seek help from the Assyrian king in countering his attackers. Depiction of Jehu King of Israel giving tribute to King Shalmaneser III on the Black Obelisk. As the book of Jonah describes, the prophet fled by ship bound for Tarshish—completely the opposite direction from Nineveh. To quell a fierce storm, Jonah was tossed overboard and swallowed up by “a great fish.” After three days and nights (and after Jonah had repented for running away), the fish returned him to dry land, and Jonah began his journey to Nineveh. The Bible describes Nineveh as a massive city of “three days journey” in size (Jonah 3:3). Remarkably, archaeology shows that Nineveh plus her suburbs was about 60 miles across—equating to 20 miles of walking per day, or three days’ journey. Further, excavations reveal that the city proper of Nineveh was an area of at least 1,730 acres—allowing plenty of room for the 120,000 residents (Jonah 4:11). Approaching Nineveh, Jonah would have been dwarfed by walls 30 meters tall and 15 meters thick (according to the historian Xenophon). There is some debate as to when this event happened, and under which leader. The debate also includes whether this was a lesser ruler only of Nineveh, or the king of all Assyria (since Nineveh was the capital at the time). What is known is that these were dark days for the Assyrian Empire, and expansionism toward the Mediterranean coast ground to a halt for many decades. Our next biblical view of the Assyrians is not long after the account of Jonah—perhaps within several decades. And it is in the context of oppression. And Pul the king of Assyria came against the land: and Menahem [king of Israel] gave Pul a thousand talents of silver, that his hand might be with him to confirm the land. King Pul was likely not of royal lineage, but probably took over the throne of Assyria in a coup. Upon assuming the throne, he took on the title Tiglath-Pileser iii—his birth name was Pulu, or Pul (a name he used concurrently as king, as the Phoenician Incirli inscription shows). Tiglath-Pileser took the Assyrian Empire to new heights of dominance. He also established himself as king over Assyria’s archrival, Babylon. This newly invigorated Assyria had a catastrophic effect on Israel. After the death of Menahem, his son Pekahiah took over the throne. After only two years, however, he was killed by the captain Pekah, who then began to rule over Israel. During the reign of Pekah, Tiglath-Pileser iii swept into Israel and took many cities, carrying away the inhabitants (verse 29). This was the beginning of the end for Israel (mid-to-late-eighth century b.c.). There are various archaeologically confirmed references to Pekah—perhaps the best is Tiglath-Pileser iii’s inscription referring to the “House of Omri” and “Pekah,” after whom “I installed Hoshea over them.” As the Bible confirms in verse 30, Hoshea conspired against Pekah and overthrew him. Around this time Ahaz, king of Judah, was having problems with a Syrian invasion. He requested help from Tiglath-Pileser iii, paying him a great deal of treasure stripped from the temple (2 Kings 16:6-9). Tribute from Ahaz is also found listed in the ancient Assyrian records of Tiglath-Pileser iii (where Ahaz is known by the longer title “Jehoahaz of Judah”). 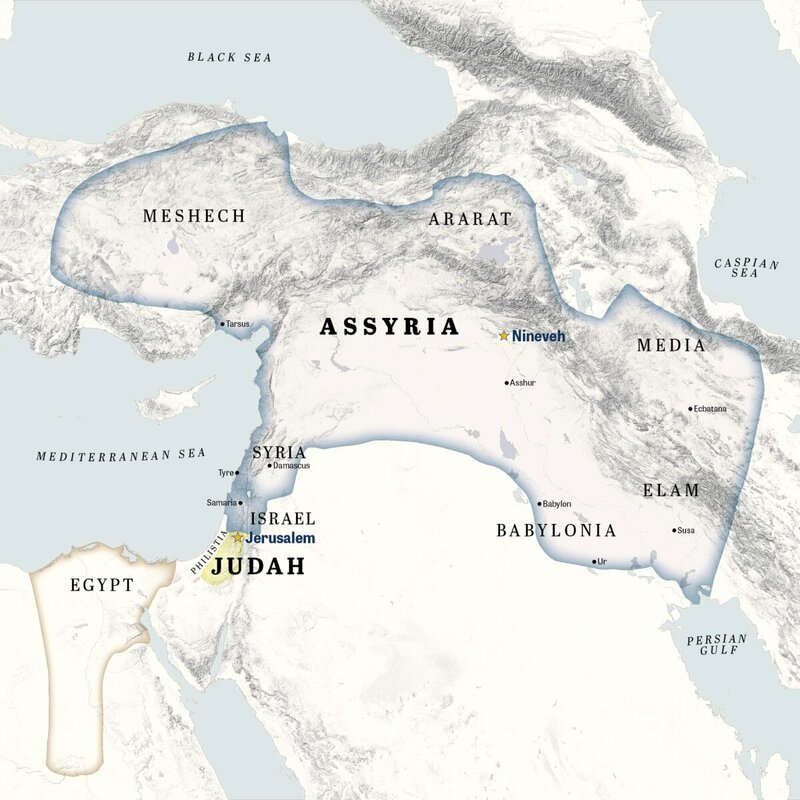 Ahaz’s attempt at cooperation with the king of Assyria proved to be more trouble for Judah, however. “Tiglath-Pileser king of Assyria came to him, but he gave him trouble instead of help” (2 Chronicles 28:20; New International Version). Tiglath-Pileser iii’s successor, Shalmaneser v, led the Assyrian forces in the final destruction of the northern kingdom of Israel (721–718 b.c., 2 Kings 17:1-6). Shalmaneser died before the siege ended, and it was under his successor, Sargon ii (Isaiah 20:1), that Israel was ultimately conquered and carried away captive. “So was Israel carried away out of their own land to Assyria unto this day” (2 Kings 17:23). From this point on, the northern 10 tribes would become the “lost 10 tribes” of Israel (read here to discover where they actually went). In place of the evicted Israelites, the Assyrian king planted people that would become known as “Samaritans” (verses 24-29), a troublesome group mentioned in the books of Ezra and Nehemiah, as well as in the New Testament. Hot on the heels of Assyria’s overwhelming victory against the northern kingdom, Sargon ii’s successor, Sennacherib, decided to sweep into and conquer the southern kingdom of Judah (2 Kings 18:13). Sennacherib was incredibly successful—except in his campaign against Jerusalem. Sennacherib’s plunders into the Judahite kingdom are well documented in archaeology, particularly his attack against Lachish. You can read a thorough account of this attack here. Now in the fourteenth year of king Hezekiah did Sennacherib king of Assyria come up against all the fenced cities of Judah, and took them. And Hezekiah king of Judah sent to the king of Assyria to Lachish [the city had been already overthrown, and his forces were now based there], saying, I have offended … and the king of Assyria sent Tartan and Rabsaris and Rabshakeh from Lachish to king Hezekiah with a great host against Jerusalem …. Archaeologists have discovered massive carved portrayals (known as “reliefs”) of this siege against Lachish in Sennacherib’s palace at Nineveh. The long, detailed depictions show masses of Assyrian soldiers attacking, defeating and then leading away captive the Jews from this city. The portrayal also shows the city gate being besieged, and massive siege towers being pushed up a ramp in order to attack the city. 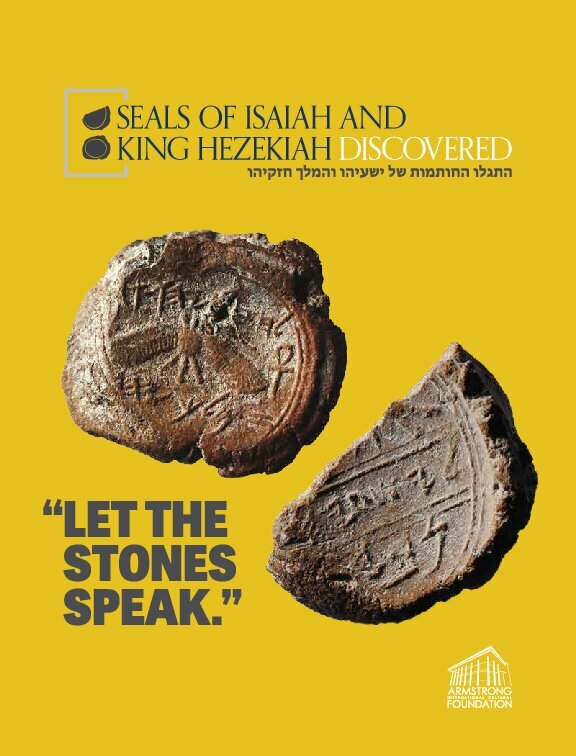 These depictions match exactly what has been revealed at Tel Lachish. A massive siege ramp has been identified at the site that these Assyrians would have used in order to launch their assault on the city from atop the towers. Much weaponry was also found, evidencing the terrifying battle fought at Lachish. 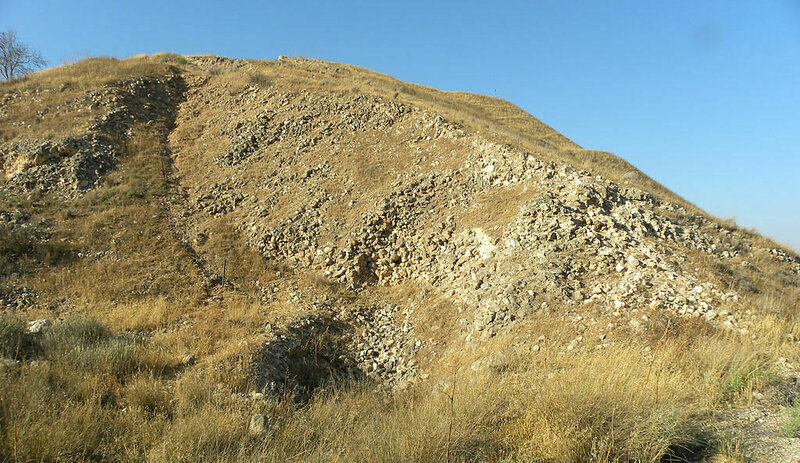 Remains of the Assyrian siege ramp at Lachish. The conquest of Lachish is one of Sennacherib’s most documented accomplishments. 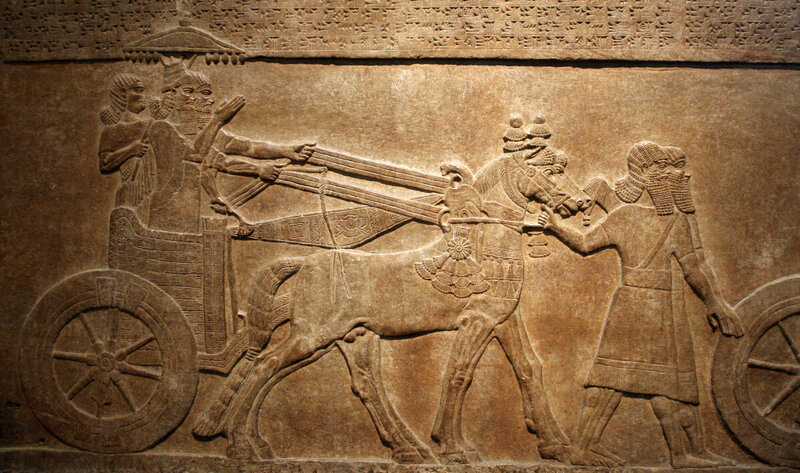 The reliefs discovered in Nineveh provide a glimpse into the Assyrians’ abhorrent cruelty. One scene shows Judean prisoners being stripped naked, handcuffed and then impaled on large stakes. Another shows a soldier forcing a leader to kneel while another prepares to cut him down. One scene shows Judean leaders being made to parade barefoot and bareheaded (a symbol of subservience) in front of King Sennacherib before being beheaded. Another relief depicts two naked Judeans being flayed alive while a column of exiles looks on. These prisoners are bound flat, arms stretched wide, while the soldiers grip their legs to complete their grisly task. It was common for the Assyrians to boast of using their enemies’ heads and skins as decorations for their city walls. From the new Assyrian base at Lachish, Sennacherib attempted to conquer Jerusalem. King Hezekiah initially delivered tribute to assuage the Assyrians (verses 14-16), but it did not stop their intent to conquer the city. After a desperate prayer to God for safety, Hezekiah was informed by the Prophet Isaiah that the Assyrians would not so much as shoot an arrow against Jerusalem. The Assyrians (185,000 of them) were wiped out overnight by an angel (2 Kings 19:34-36). Interestingly, on an Assyrian artifact known as Sennacherib’s Prism, the king boasts: “As for Hezekiah, I shut him up like a caged bird in his royal city of Jerusalem.” The text goes on to delineate the initial tribute he had received from Hezekiah. Yet it makes no mention of an attack on, let alone conquest of, Jerusalem. Just as the Bible says—he wasn’t allowed to! Of course, this wasn’t something the boastful king of Assyria would admit. The Assyrian threat at that time was also the reason for the digging of Hezekiah’s tunnel beneath Jerusalem. This discovered tunnel is an impressive, 530-meter-long conduit carved straight through bedrock, referenced in several scriptures. Under Sennacherib, the Assyrian Empire began to fragment and suffer multiple wars. The territory of Babylonia, having been subdued and included as a part of Assyria during Tiglath-Pileser iii’s reign, began to fall apart thanks to insurrection by the Chaldeans and Arameans. In 681 b.c. (according to standard chronology), Sennacherib was murdered by two of his sons, Adrammelech and Sharezer (Isaiah 37:37-38)—this is corroborated by various ancient records, implicating Arda-Mulissi for the murder (Adrammelech), who would have been assisted by his brother Nabu-sarru-usur (Sharezer). A third son, Esarhaddon, reigned in his place. Esarhaddon is known for his defeat of Egypt in 671 b.c., subsequently carrying the title “king of Egypt.” He is the last king of Assyria to be mentioned by name in the Bible. The Assyrian Empire was finally smashed c. 612–609 b.c., defeated by the Chaldeans and Medes. The Chaldeans subsequently established their own independent Babylon. It is hard to believe that the citizens of one of the world’s greatest and most enduring empires should fade almost completely from worldview. Over the course of nearly 2,000 years (up until around 600 b.c. ), the Assyrians had been one of the largest and most significant forces shaping the ancient world. What happened to them? A small, crushed minority survive to this day, living stateless in their Mesopotamian homeland. Those still living in modern-day Iraq number around 1 million. But the history of man is the history of migration. We cannot expect the entire Assyrian people to have remained in the same territory—nor to have just been limited to the Mesopotamian region. A medieval inscription in the west German city of Trier proudly declares that “Before Rome, Trier stood for 1,300 years.” The construction of Trier is said to have taken place under the direction of Trebeta, son of the ancient Assyrian King Ninus (Josef K. L. Bihl, In Deustchen Landen). According to the story, Trebeta had been driven out of Mesopotamia by his mother, Semiramis. He left with a “great multitude of Assyrians” and established the city of Trier in modern-day Germany. Thus we see textual reference to Assyria’s fingerprints into Europe and specifically Germany as early as 2,000 b.c. Historical references show that after the Assyrians’ defeat around 600 b.c., populations labeled as “Assyrian” were found all around the Black Sea region (as noted by Sylax, Diodorus Siculus and Pliny the Elder). This follows along with a Bavarian tradition that their Germanic peoples came from the region of Armenia, near the Black Sea. The Scythians had in fact retreated to this location, after conquering the Assyrians. They evidently would have brought many Assyrian captives with them. The historian Jerome wrote in the fourth century a.d. about Indo-Germanic tribes that during his time were invading into Europe. He stated of them: “Assur [the Assyrian] also is joined with them” (note Psalm 83:8)—the Assyrians during the fourth century were pushing into Europe! For a more in-depth analysis of the Assyrians’ migration to modern-day Germany, see here and here. In all the annals of human conquest, it is difficult to find any people more dedicated to bloodshed and slaughter than the Assyrians. Their ferocity and cruelty have few parallels save in modern times. It thus should not be surprising that those perpetrators of modern “bloodshed and slaughter” (penned just after World War ii) are themselves the descendants of the Assyrians. It is also fitting that the once-great city named after the Assyrian forefather—Assur—has been chiefly excavated by German archaeological teams. The Bible does not end with descriptions only of Assyria’s past. It also contains many prophecies of Assyria’s—or Germany’s—future. You can read our detailed progression of them here.